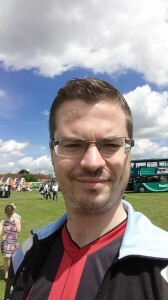 Ashley’s selfie in front of a number 5 bus at the fun day. 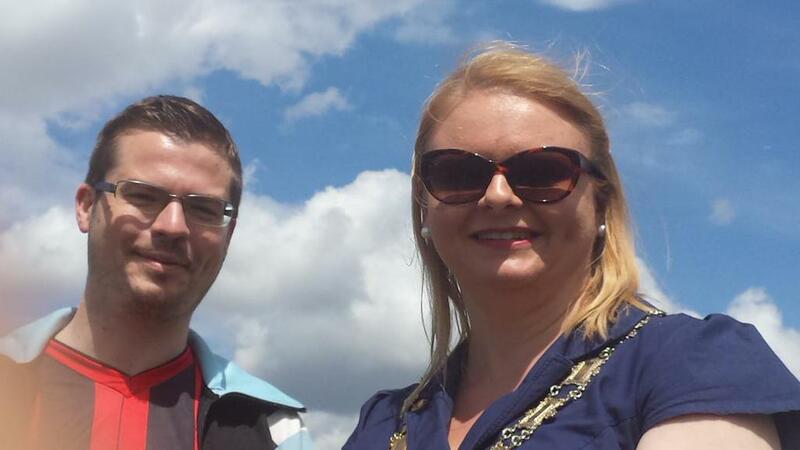 Ashley with new Mayor of Reading Councillor Sarah Hacker. Ashley was in attendance at the 11th annual South Reading Churches fun day run by Vernon Orr of St Agnes Church at Rabsons Rec. The event was well attended and thankfully the sun shone throughout. Stalls and attractions at the event included bouncy castles, free food, a petting zoo, basketball team Reading Rockets and for the first time Reading buses. Well done and thank you for all of the organisation and effort of volunteers that went into the event. The next event at Rabsons Rec is WhitFest on July 18th, please come and support our local artists then. This entry was posted in Ward News and tagged South Reading fun day on June 28, 2015 by Ashley Pearce.